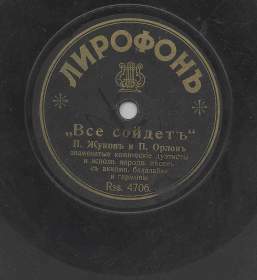 The exact date of appearance Lyrophon in Russia is to difficultl to establish, but it is known, that the representative of the company in Russia was somebody J.M.Joelson. 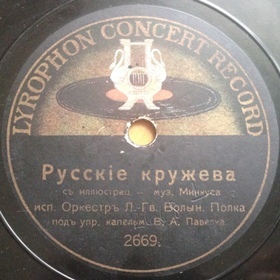 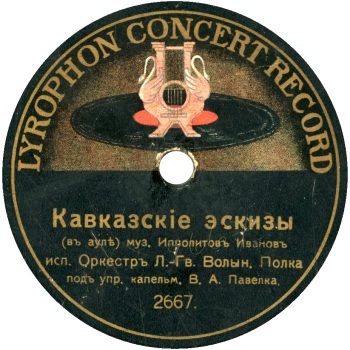 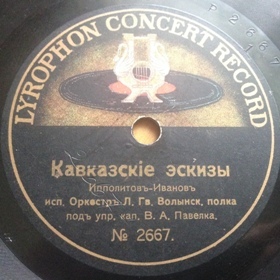 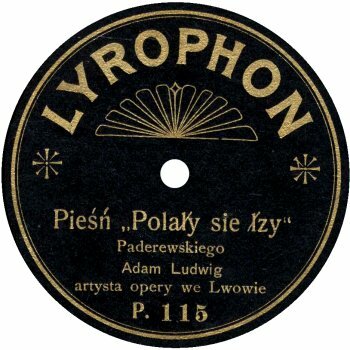 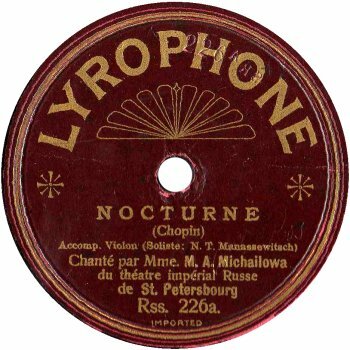 It looks like Lyrophon had two large recording sessions: the first one as soon as 1905, the second one circa 1910. 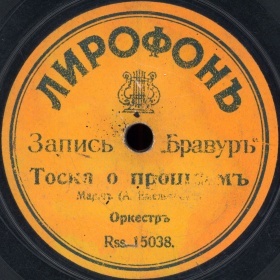 They made very interesting recordings of artist of Imperator Mariinsk Opera N.A.Bolshakov (tenor) performing arias from “Pagliacci” Leoncavallo and “Pique Dame” Tschaikowsky operas, recordings of K.G.Van-Brin (soprano), singer of Imperator Nicholas II People’s House performed excerpts form Faust’s Gounod and Delibes’ Lakme, recordings of prominent opera and operetta artists V.P.Damaev, A.V.Smirnov, L.M.Sibirjakov, N.A.Mikhajlov, E.A.Orel, M.I.Vavich, famous Varja Panina. 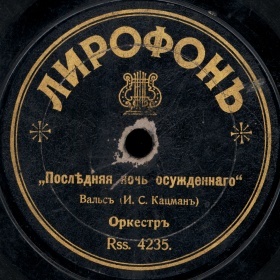 There are interesting records of church music performed by the Sacred Chorus of Isaac’s Cathedral (motets “Rejoice Holy Mother”, “Blessed Joseph”, “In Thee Rejoicethѕ”) and Chorus of the Kazan’s Cathedral in Petersburg. 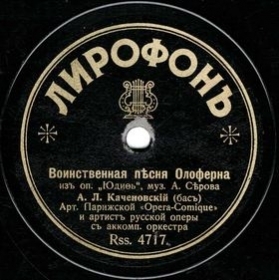 There were many recordings of light dance, instrumental, and orchestra music (march “Soldiers in a Park”, dances “Pas d'Espan”, “Pas d'Patiner”, “Pas D'Gras”, and etc.) 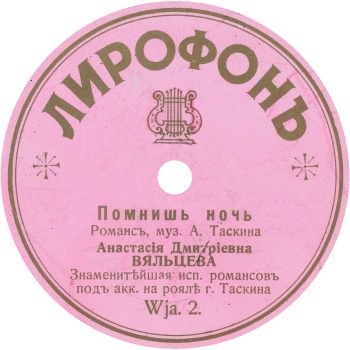 performed by different orchestras. 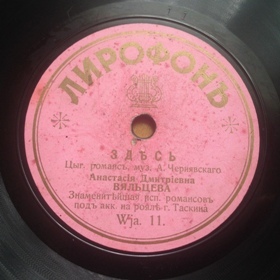 The great success was the recording of A.V.Vyalceva during the second session. 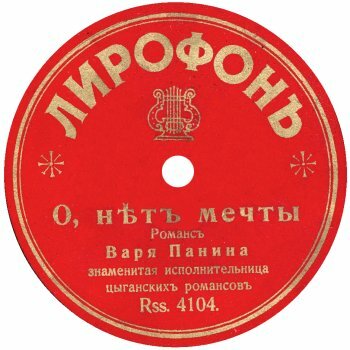 By the way, just like famous Francis D'Andrade, Vyalceva was awarded with “personal” matrix numbers, marked by letters “Wja” (Вя). 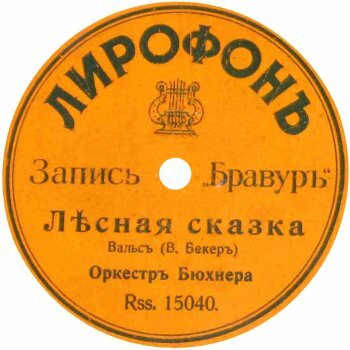 Besides “Grand” format, there was unusual 5” (12,5 sm) format called “Gmone” or “Lilliput” used for popular orchestral music. 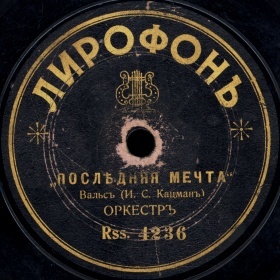 Matrix numbers of Russian recordings were marked with prefix “Rs” ("Rss" on the labels), “P” for Polish. 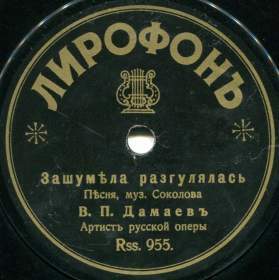 On the "mirror" (the dead wax between the last groove and the edge of label) matrix number digits are engraved in a normal position while the letters are mirrored, have different handwriting, and often do not fit into the allocated room. 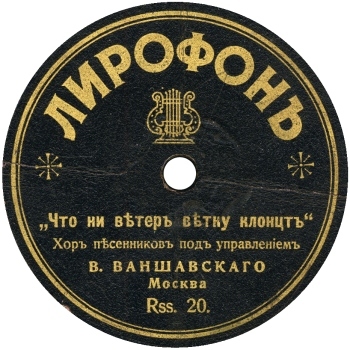 It tells us that letters were added at later stage of the process: either on the negative master resulting from electroplating of the original wax matrix, or on negative stamper, from which the final records were pressed. 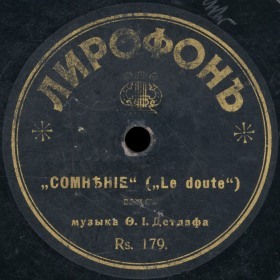 I favor the second version, as the letters are often followed by the Roman figure (I, II), made by the same handwriting and apparently at the same time, and most likely playing the role of stamper indicators. 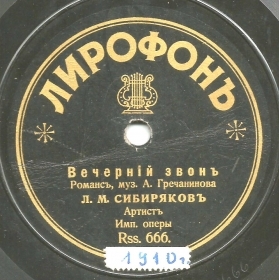 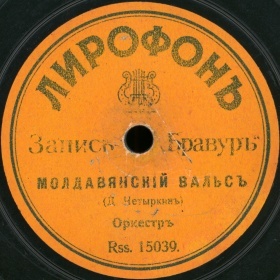 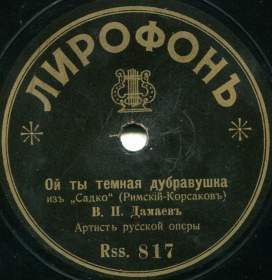 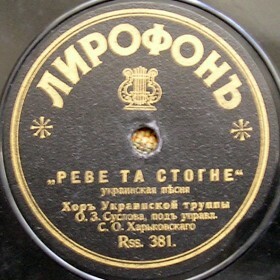 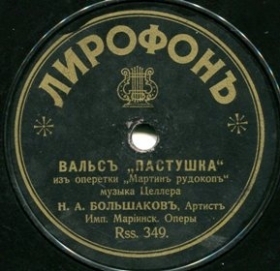 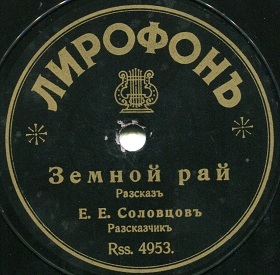 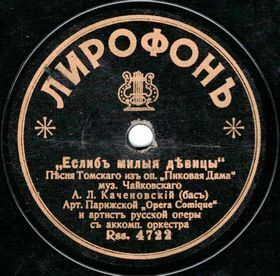 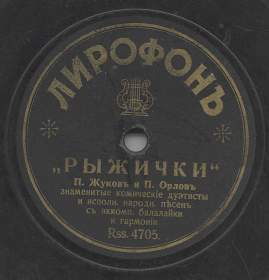 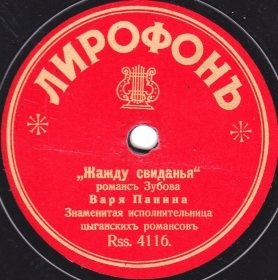 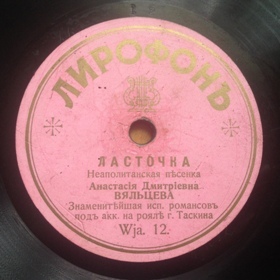 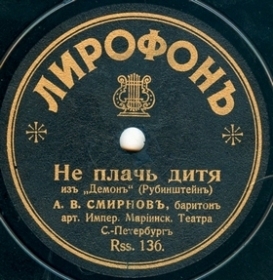 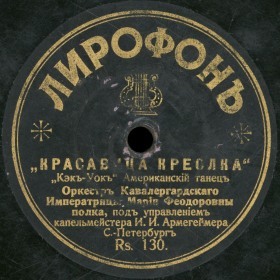 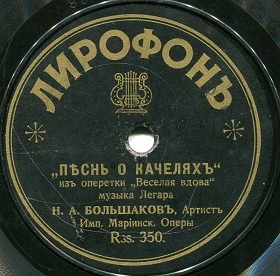 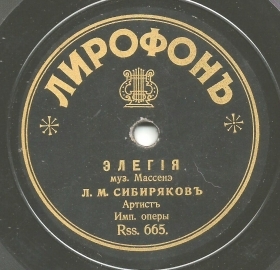 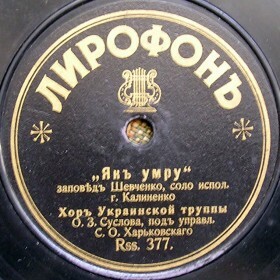 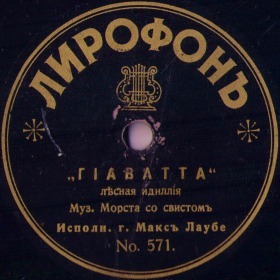 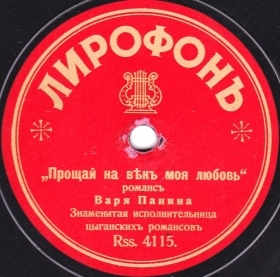 In 1908 Lyrophon introduced «Gloria» label, that is currently is great collectors rarity. 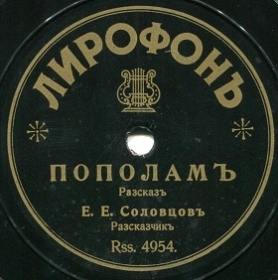 It should not be confused with much more common electrically recorded «Gloria» produced in 1930.